The chair that started it all! "Hello there! I'm Lindsay. 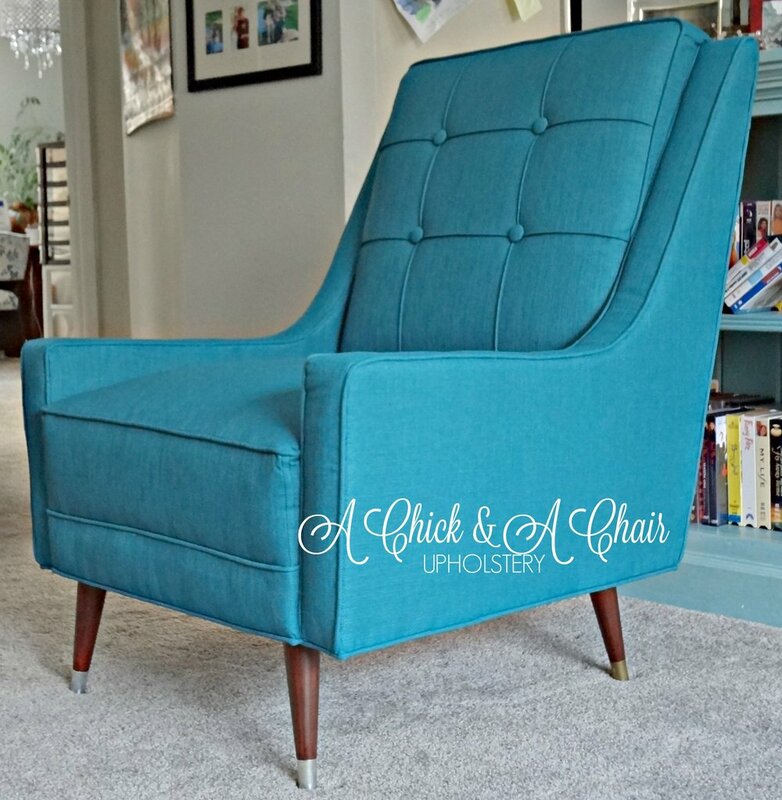 A Chick & A Chair started when I kept bringing home wonderful vintage furniture that needed new fabric. Always creative and hands-on, I decided that upholstery was something I wanted to try on my own. I grabbed every book I could put my hands on, and scoured the internet for videos and blogs telling me how to do it. Throughout this time, I was working on the pieces at home, and posting pictures of them to my personal page on Facebook. Eventually, friends began to notice my work, and one friend decided to take a chance on this do-it-yourselfer, and actually paid me to reupholster some chairs for her. But they weren't just any chairs - they had belonged to her grandmother, and they were special. They had a story. From then on, I realized I had found my calling, and A Chick & A Chair was born in 2016. I now enjoy specializing in chairs with stories for many clients, and I hope to hear your story soon!"